*All hotel rooms must be booked directly with hotel of choice. The Pocono’s premier Casino Resort boasting lavish guest rooms, five fabulous restaurants, spa, new pool, new golf course and clubhouse, night life, free valet parking and casino. The Crossings shopping outlet is just ten minutes away. Blocked rooms will be held until September 3rd, 2019. THEY WILL SELL OUT EARLY. PLEASE BOOK ASAP. 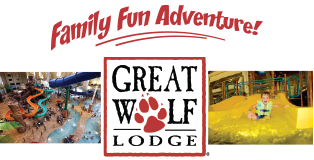 KALAHARI WATERPARK - America's largest indoor waterparks! Waterslides, spas, kids’ play areas, escape room, dining options and more! Mother Nature at its best!